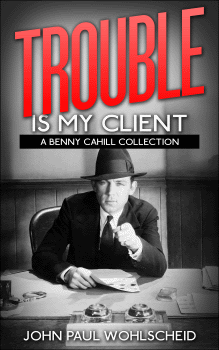 Being a private eye means helping the little guy and that is what Benny Cahill does for a living. 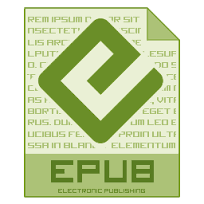 The problem is: this kind of work can be bad for your health. After helping a jockey put a bet on a fixed race, Benny loses the money and finds his client dead. 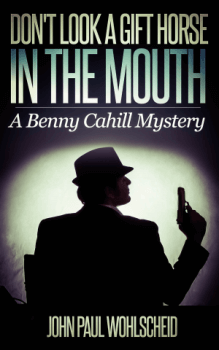 With the cops eyeing him for the hot seat, Benny Cahill must bring the real killers to justice. All because a jockey had never heard of the phrase: “Don’t Look a Gift Horse in the Mouth”. Benny Cahill is back. After getting involved in a crooked horse race in Don’t Look a Gift Horse in the Mouth, the cynical and wise-cracking private detective returns in four never before published short mysteries (Where There’s a Will, Now Hear This, Reach for It, and To the Moon). These noir stories are inspired by the author’s love of Old Time Radio shows. 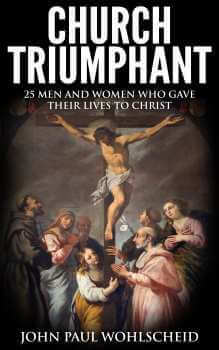 This collection includes a foreword by Theresa Linden, author of Chasing Liberty. 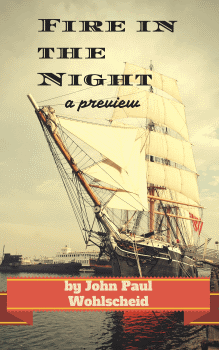 This is a preview of John Paul Wohlscheid’s novel, Rumors of War, to be released Fall 2015. Watch for more stories coming soon.